Since my last post, we have done a lot. 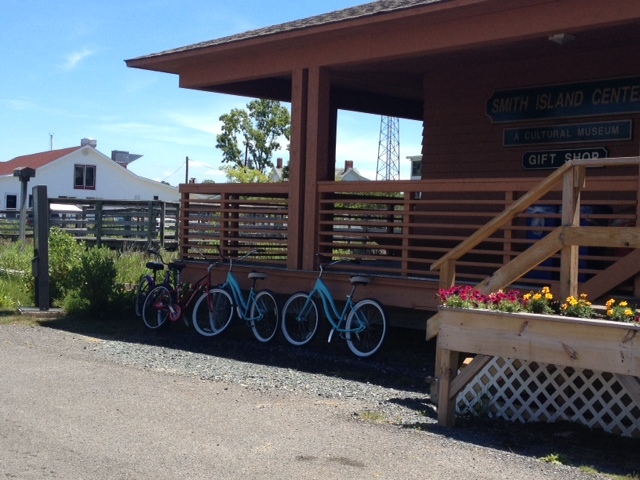 We had relatives in town and did some sight-seeing in Cambridge, MD, Edgewater, MD, and Smith Island, MD. We also did a 104-mile bike ride (the Bay to Bay Century) in Chestertown, MD, and started our 20-week Ironman training plan! We actually had 22 weeks to go when we started the training plan, but I wanted to leave us a little wiggle room and also have plenty of tapering time at the end — just in case. 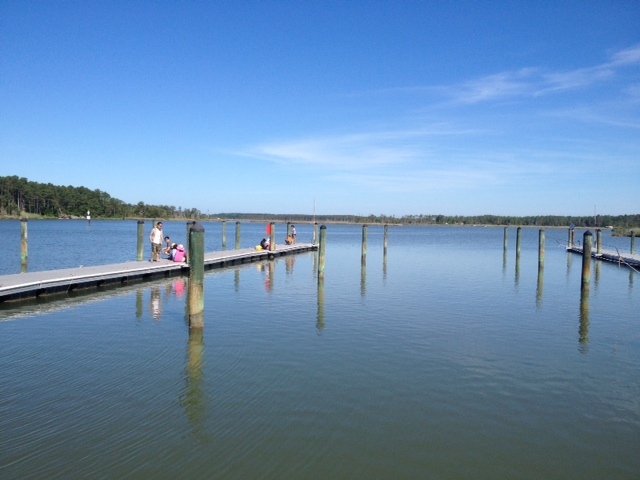 The picture above was taken at Point Lookout, MD — which is where we caught the ferry to go over to Smith Island. It was a beautiful day and an interesting place to visit. But we probably didn’t need to rent the beach cruiser bicycles that we rode around the island. The truth is – it isn’t that big of a place. But we did it anyway — to get the full experience. My husband claimed it hurt more to ride a few miles on the rental bike – than it did to ride 104 on his Felt tri bike the next day. So, even though our training plan did not call for too much more workout-wise than what we normally do — it *felt* like everything was more serious all of a sudden. I felt obligated to **stick to the plan! ** We had a rest day on Monday. Then we had a “short swim & short bike” on Tuesday. Wednesday was a “steady run”, and Thursday was a short brick. Friday was a long swim. Today, we had a 2-hour bike. We are going to switch Monday’s rest day to tomorrow (due to schedule constraints) and do our swim/run on Monday. Let’s hope we can stick with it! Sprinkled throughout the 20 weeks, we also have 5 (FIVE!) more century rides planned (a couple of them are metric centuries), one Iron-distance aqua-bike, and one half-Ironman. We might add more stuff. But overall, I’m happy with how we planned out our race schedule. I did not want us to build up too much too soon. And I know how we are… If we had something big in July or August, we might fall off the wagon after that and have to get back with the program. By building slowly toward the fall — I think we will be in better shape. But you never know. Mostly, I think we just need to make sure we get enough rest in between everything else!